If surgery is looming in the future for you, the thought of selecting a surgery center has probably crossed your mind a time or two, if not more. Selecting the right surgery center for you is definitely more of an art than a science, and the one you end up choosing should be a reflection of what you value most. Whether you are seeking the absolute best care, want to pay the lowest rate possible, or don’t want to travel far from home, you should weigh what’s important, and use those to dictate your ultimate selection. There are many, many surgery centers out there, and it falls on you to do ample research beforehand to find the right center for you. Generally, surgery centers can be regarded as big or small. Whether you decide to choose a smaller center or a larger center is entirely up to you, but it is important to understand the differences between them before making a selection. 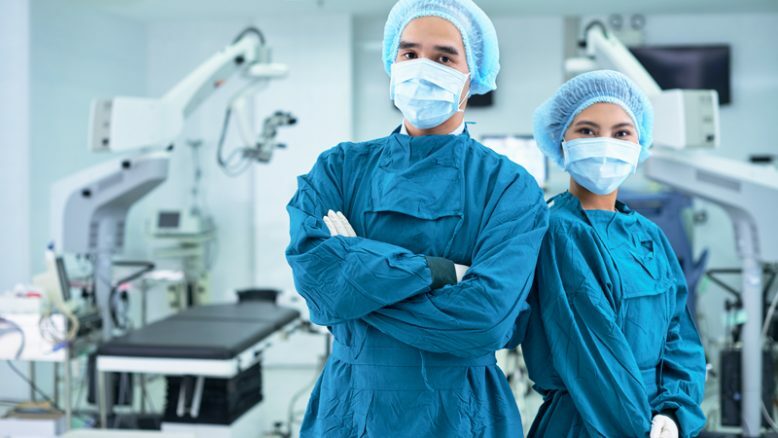 Typically speaking, you’ll find smaller surgery centers in both small and large cities, while larger surgery centers are generally found only in larger cities. Also, smaller surgery centers often employ physicians and surgeons with excellent re[censored] tions in the area, whereas the larger centers tend to employ physicians and surgeons billed as the best the country has to offer. Both have their pros and cons, and you should weigh these before deciding whether to visit a small or large facility for your procedure. The Internet contains a wealth of knowledge, and it can help guide the way for you in selecting the surgery center that best suits your wants and needs. If you know of a few surgery centers by name, consider visiting their respective websites to obtain more information and get a feel for them. If you don’t know of any surgical centers or would like to explore more options, try conducting an Internet search, and visiting the sites of centers brought up in your search results. Remember, though, you can’t always believe everything you read online, and one disgruntled former patient can potentially paint a biased, unrealistic picture for all online viewers to read, so don’t let the Internet be the sole basis for your ultimate decision. It is definitely in your best interest to consult your close friends and immediate family members about surgery centers. After all, these are the people whose opinions you value the most. Specifically, speak to those friends and family members who have had procedures performed recently. Be sure to ask what they liked and disliked about the surgery center attended, as well as more specific questions pertaining to the surgeons, physicians, and staff in general. Pictures, videos, and information found in literature or online can only do so much. If you live near a surgery center you are considering, it could be well worth your while to pay it a visit and get a firsthand feel for how it operates. Chances are, you will be well received when you visit a center, as most are constantly trying to win over new patients by demonstrating professionalism, class, and an amicable environment. However, if you are not well received when you visit, you should be certain to make note of it, as it could be a sign of the attitude toward patients in general at that specific center. Whether the experience is good or bad, it can only help to see a few facilities for yourself before consenting to surgery. Taylor Thomas is an experienced writer who has written for a number of notable publications. As a lifestyle expert, Ms. Thomas is able to offer advice and insight on a multitude of topics, including those pertaining to surgery centers.